Wrongly convicted by fault of the FBI. US Representatives Stephen F. Lynch and William D. Delahunt greeted Peter J. Limone and his wife, Olly, before closing arguments yesterday. Limone served 33 years in prison before his conviction was overturned. Lawyers for four men wrongly convicted of a 1965 gangland slaying argued yesterday that the FBI was squarely to blame for withholding critical evidence during their trial and urged a federal judge to order the government to compensate them for the decades they spent in prison. 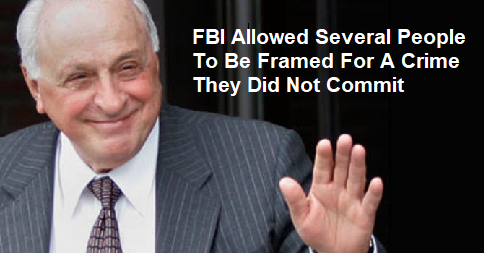 The discovery of secret FBI files that were never turned over during the men’s 1968 trial prompted a state judge six years ago to overturn the murder convictions of Limone, who had served 33 years in prison, and Salvati, who was paroled in 1997 after serving 30 years. Exoneration came too late for Greco, who died in prison in 1995 at age 78, and for Tameleo, who died a decade earlier at age 84. Yesterday, a Justice Department lawyer argued that the FBI had no duty to share internal documents with state prosecutors and insisted the state was responsible for convicting the men in the slaying of Edward “Teddy” Deegan in Chelsea. She said the FBI had shared some information about Deegan’s death with local police. Three members of Congress who were involved in a two-year investigation of the FBI’s mishandling of informants and had condemned the government’s handling of the Deegan case were in court yesterday for final arguments, including Dan Burton, an Indiana Republican who spearheaded the probe and formerly chaired the House Committee on Government Reform. Also present were William D. Delahunt, a Quincy Democrat, and Stephen F. Lynch, a South Boston Democrat. Burton said he believes that all four men were wrongly convicted. “We want to make sure justice is served,” he said. US District Judge Nancy Gertner said she expects to rule by late March or early April on whether the government is liable and, if so, how much it should pay. The judge challenged Lipscomb’s effort to distance the federal government from the state prosecution, saying that state authorities had been unable to solve Deegan’s slaying until FBI agents recruited hit man Joseph “The Animal” Barboza as a witness against local Mafia leaders and turned him over to state authorities. Lipscomb said that the FBI was focusing on Barboza’s testimony against Raymond L.S. Patriarca, then the New England Mafia boss, in a federal murder conspiracy case and that there was no evidence they “were even paying attention” to the Deegan case. Lawyers for Salvati, Limone, Greco, and Tameleo ridiculed the government’s assertion, saying that now-retired FBI agent Dennis Condon and his late partner, H. Paul Rico, were aware of internal FBI documents that indicated that Barboza had falsely implicated the four men, yet Condon took the stand during the 1968 trial to vouch for Barboza’s credibility. The FBI didn’t disclose that agents listening in on an illegal bug had overheard Barboza and another Boston gangster and FBI informant, Vincent “Jimmy” Flemmi, seeking Patriarca’s permission to kill Deegan several days before the March 12, 1965 slaying. Michael Avery, a lawyer who also represents the Limones and the Tameleos, called the government’s arguments frivolous. “They were aware of [Barboza’s] perjury, and they delivered him to the state knowing full well what he was going to do,” he said. The government is not denying the fact that it knew what was happening. Nor is it saying the plaintiffs were wronged but are asking for too much money. The government is instead arguing that it had no duty to come forward. At a minimum, one might ask what the FBI means when it says that one of its “core values” is “Accountability [by] accepting responsibility for its actions and decisions and the consequences of its actions and decisions.” Maybe the director means that his agents will not arrest people who bring lawsuits against the bureau alleging illegal conduct. Maybe he means something else. At worst, criminal laws were broken here. An ordinary citizen can go to jail for suborning perjury. It is also a crime to stand by and let a crime take place without notifying the authorities (misprision of felony). The feds evidently believe they are not bound by these rules. Pretty shocking. Even if the judge rules against the Department of Justice, we should not forget what it argued in this case. Will the FBI headquarters inform the tourists who visit their facility of its peculiar legal argument? The question sorta answers itself, doesn’t it? A great legal victory, to be sure. Unfortunately, I expect the government attorneys will offer a substantially lower amount — or threaten to drag the case through the appellate courts for several more years. Still, this is an important precedent. It is an outrage that so many wrongfully convicted people get little or no compensation. I don’t know how these politicians can spend the enormous sums that they do and let this go on. Do we need any additional argument for term limits? 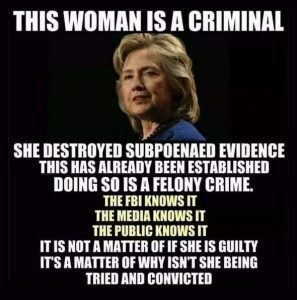 Crime, FBI, Government, Judge, Justice Department, United States Government. Bookmark.